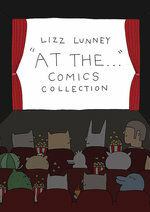 Can you believe it - over 300 pages of Lizz Lunney! This massive collection includes early comics, recent comics, all your favorite characters, and even a dash of autobiography! Join Lizz as she takes cartoon comedy to the limit, featuring cute cubes, specks of dust, talkative foods, and most importantly, plenty of cats. 314 pages!